If you spend much time at all on social media, it’s likely at some point in 2016 you came across an article about the “new zodiac” entitled Your Zodiac Sign Shifted – NASA Updated the Zodiac Signs for the First Time in 2000 Years. You probably wondered what that was all about; maybe you even wondered if it was true. If you read it, you may have come away with more questions than answers. The headline itself is a little misleading; the zodiac is what the zodiac is, NASA doesn’t “update” it. Essentially the article discusses the sidereal zodiac, which you may not have ever heard of before, depending on your level of familiarity with astrology. Let’s dig a little deeper. What the Heck is the Sidereal Zodiac? To explain that, we need to define the term “zodiac” (from the Greek zōidiakòs kýklos, or “circle of little animals”): Imagine a plane projected out from the equator that encompasses the earth in a 360° circle. The zodiac is a belt of the heavens which spans about 9° of latitude either side (above and below) this line. It is divided into 12 equal segments of 30°, called signs, which are named after the various constellations they represent. This belt is important to astrology because nearly all planetary activity takes place within this narrow band of the sky. While the signs are based on the constellations, they are not the same as the constellations. This is important to keep in mind. Now, have you ever tried to find the beginning of a circle? How do you decide where it starts? Where it ends? The sidereal zodiac is a 12 sign division of the zodiac belt which anchors its position to the fixed stars. We call them “fixed” because unlike the planets, they don’t appear to move relative to earth. These stars are the same stars that make up our constellations in the sky. So in the sidereal zodiac, the sign of Cancer is anchored relative to the constellation of The Crab, or Cancer. The sign of Capricorn is anchored relative to the constellation of Capricorn, the goat-fish. 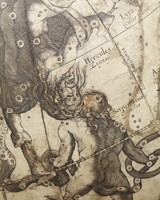 And the sign of Aries, which astrologers consider to be the “head” or the start of the zodiac, is anchored relative to the constellation of Aries. This is different from the tropical zodiac used so widely in the west. The tropical zodiac is also a twelve-fold division of the zodiac belt, but it uses a different anchor point for the “beginning”. The tropical zodiac anchors the beginning of the zodiac–0° Aries–to the vernal equinox, or the first day of spring in the northern hemisphere. The earliest astrologers used a system based on their observations of the sky—they observed the positions of certain stars in the sky over time and recorded those positions on clay tablets, some of which survive to this day. Their system was a sidereal system—sidereal meaning “of the stars”. While the zodiac was first divided into 12 equal divisions in the 5th century BCE, the constellations were described long before, around 1100 BCE, as we know from Babylonian astrolabes. It was not for several centuries after the Greek astronomer Euctemon divided the year into 12 roughly equal months named after the signs, beginning with the vernal equinox as the start of the first month that the tropical system came into common usage in astrology. This solar calendar was later preserved in Ptolemy’s writings as the tropical zodiac in the 2nd century CE and passed indirectly to the West through Arabic translations of his early Greek texts. Though many modern astrologers attempt to credit the sidereal zodiac as limited to Vedic astrology, we can see that it is far, far older and much more accurate to say that the use of the tropical zodiac is exclusive to us in the West. No other astrological tradition in the world uses a zodiac anchored to an equinox. Well, the Big Deal boils down to accuracy, both scientific and historical. The biggest issue is the phenomenon of equinoctial precession. The “vernal point”– the point at which the ecliptic (the path of the sun) intersects the equator, marking the beginning of spring—drifts backward through the zodiac very slowly over time at a rate of roughly one degree every 72 years. When the tropical zodiac was first conceived some 2000 years ago, the vernal point was at 0° Aries, and so both systems agreed. But over time, the vernal point has shifted. Over the past 2000 years, the two systems have drifted apart by about 25°. Now the first day of spring comes when the sun is moving through the sign of Pisces, rather than Aries. Recall that the signs are equal 30° divisions of a circle. You know that song about the dawning of the Age of Aquarius? When the vernal point moves into Aquarius roughly 360 years from now, the Age of Aquarius will have begun—and the tropical zodiac will differ by one full sign. To give you an example in practical terms, western astrology would consider a child born on the 2nd of December, 2016 to be born with her sun in the sign of Sagittarius. But if you could walk outside on that same day and look to the sky to see what sign the sun is actually transiting, you would see it passing through the sign of Scorpio. The sun won’t move into the first degree of Sagittarius until later in the month, on December 16th. Using this example, it is easy to see that the results of a reading can differ from one system to the next—sometimes dramatically, sometimes not. Any planets in your chart which fall in late degrees of a sign, typically 25°00’ – 29°59’, will fall into the same sign using either system. There are other practical reasons why the original sidereal system makes sense. One is that using the tropical system, an astrologer has to make adjustments to their calculations when casting a birth chart for someone born in the southern hemisphere. While anchoring 0° Aries to the March equinox makes an excellent way to mark the first day of spring in Greece, it doesn’t work so well for marking the first day of spring Australia. You would have to anchor 0° Aries to the September equinox to do so Down Under. The sidereal zodiac of the Babylonians doesn’t require any adjustment regardless of the hemisphere in which you were born. Now, another significant difference between the two approaches involves the inherent symbolism and interpretation. The tropical zodiac as it comes from Ptolemy incorporated the concept of the four humors and assigned the qualities to each sign as it relates to the seasons, while the Babylonian astrologers assigned the qualities to the signs based on the portions of ecliptic they occupy as measured against the fixed stars. To the original astrologers, it was the heavenly bodies individually and in combination with each other which influenced mankind, rather than the signs. Remember, the signs themselves derived from constellations of stars—not the other way ‘round. It’s important to recognize that while it may seemingly make sense to ascribe hot, dry, wet, and cold to the seasons and therefore signs, a given spring may be dry, or a summer cool, a winter rather warm or a fall, wet. A season may come late or early or even seem not to come at all, depending on the year (in fact, near the equator, seasons as we typically know them are not part of the experience of life). And while astrology can certainly predict these trends, they are not tied inherently to the position of the signs, but rather to the celestial bodies within them. Astrological and zodiac historians are coming to understand more and more the history of astrology and how it came to us. In fact, a tremendous project is currently underway to re-translate as many of the ancient texts as possible in order to provide us with a clearer understanding of what Greek and other Pre-Hellenistic astrologers knew and practiced. At question is whether we need, as a collective, to rectify any previous mistranslation or misunderstanding of those texts as they were passed down through the centuries. Get your free astrological calendar! Know the best days for business, luck and romance at a glance. Articles like the one mentioned above are easily pooh-poohed into making sidereal astrology sound misguided, when in fact it is deeply rooted in history and scientific observation. There exists a small but growing number of western astrologers, myself included, who use the sidereal zodiac in their practice. Astrologer Cyril Fagan first put forth the argument in favor of it back in the 1930s—prior to that, it was effectively lost to us in the West. One argument ardent tropical defenders put forth is that we have only one tropical zodiac system while many variations (called ayanamsa) of sidereal zodiac exist, and so which one is correct? The trouble with this argument is highlighted by technology, the science of astronomy and our ability to make accurate observations of the stars. As you can imagine, the instruments of observation and measurement used by ancient astrologers were crude in comparison to the highly sophisticated telescopes and computers we have today. There are numerous ayanamsas which astrologers have developed over the centuries; the Fagan/Bradley ayanamsa based on the work of Cyril Fagan is widely considered the foremost of our time. The artificial–for lack of a better word–nature of the tropical zodiac is one of the main arguments against the validity of astrology by the broader scientific community. 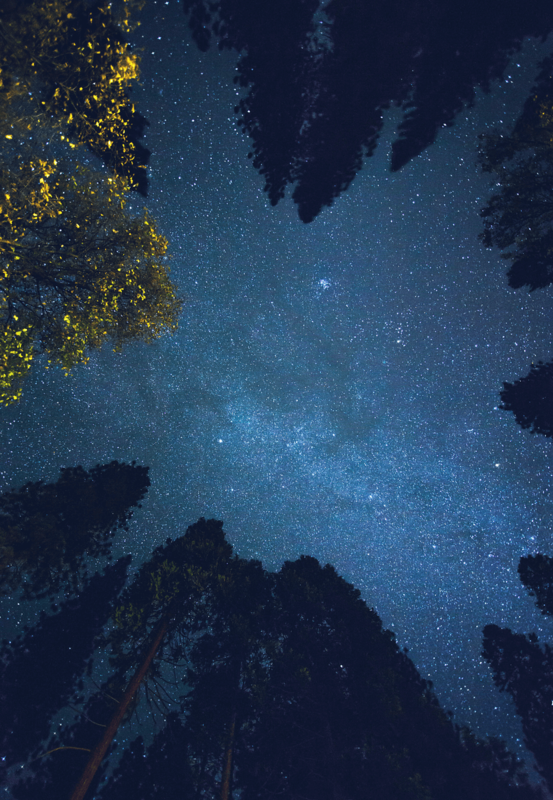 A renewed interest in sidereal astrology in the West has the potential to change that. As we look to both the past and the future though the sciences of archaeology, history, astronomy, and physics our understanding of humanity’s oldest science can only deepen and grow. Ok, But What About This Ophiuchus Character? Ah, that. 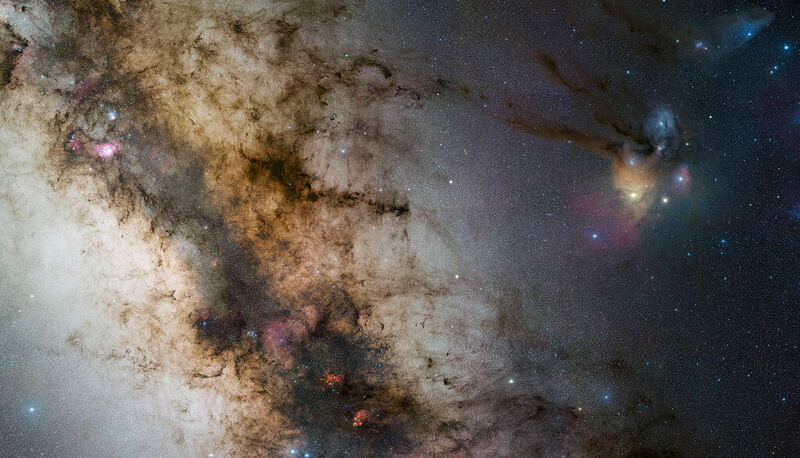 To explain why Ophiuchus isn’t included as part of the zodiac with the degree of clarity it truly deserves is beyond the scope of this article and would require significantly more space than we have for discussion. That said, you can read this amazingly thorough explanation by Deborah Houlding. My answer to this is both, at least for a period of time. 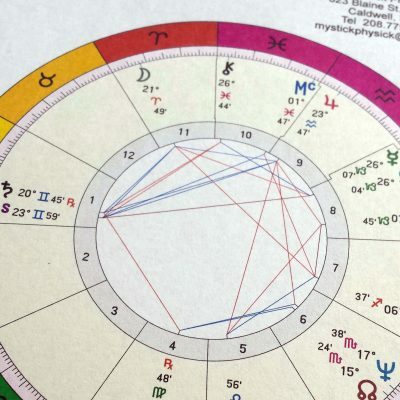 As a first step, I encourage anyone interested in further exploration to have their natal chart analyzed both ways, preferably using interpretive software to eliminate the possibility of human bias. Read them, absorb them, and perhaps for a couple of months (or longer if you choose) follow both a tropical and a sidereal forecast. Make note of your experiences, being sure to read any forecast for both your sun and rising signs to get the most comprehensive understanding. 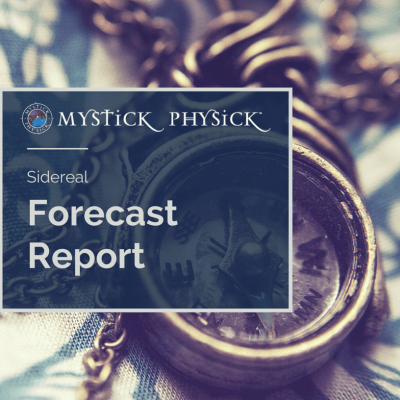 For a tropical forecast, read your tropical sun and rising signs; for the sidereal forecast, read your sidereal sun and rising signs. In short: experiment. You will then have a feel for which system resonates with you most strongly and describes your current experience most accurately. Keep in mind there are astrologers who choose to use both systems. Regardless of which you choose, note that the zodiac system is only one part of a greater methodology which incorporates all 12 signs, the houses, the nine planets, as well as the aspects between them, and that both approaches have more in common than not. This is one reason why the tropical system we all are so familiar with is still very accurate. Remember, every natal chart contains all 12 signs—and they each contribute to our individual makeup in some valuable way. As you explore you may discover a more nuanced understanding of yourself and of your life. This can be especially true if you find that traditional western astrology doesn’t speak to you as often as you’d like. 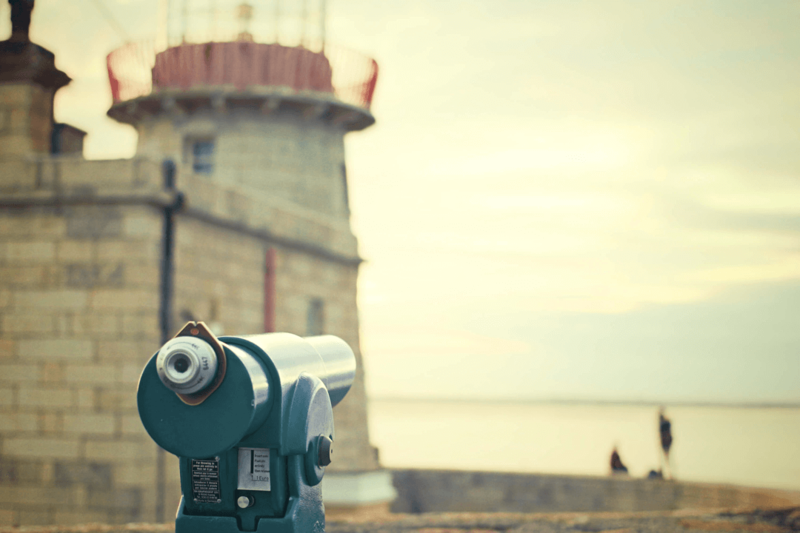 If you’ve ever struggled with forecasts or readings that just don’t quite jibe, or if you’ve often felt some parts “fit” and some parts really don’t, I invite you to discover why that is. Please join me right here at Uranus in the 5th House beginning January 2017 to explore the sidereal side of western astrology in more depth with your monthly sidereal forecast. Be sure to check your sidereal placements with our helpful sidereal placements calculator so you can confidently read for your sidereal sun and rising sign every month. P.S. Don’t forget to download your free copy of the 2017 Astrology Quick Start Reference Guide packed with helpful explanations of the signs, planets, aspects & houses and their meanings and tons more to help you as you explore. 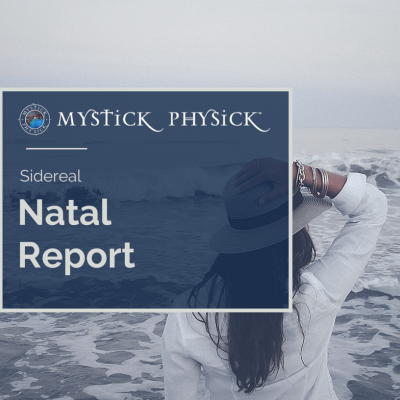 You can also order your personal Astrology Exploration Report customized just for you with side-by-side comparisons of both your sidereal and tropical natal chart analysis in one easy to read report, exclusively from Mystick Physick Astrology.